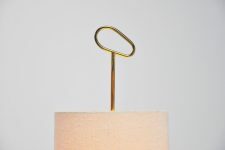 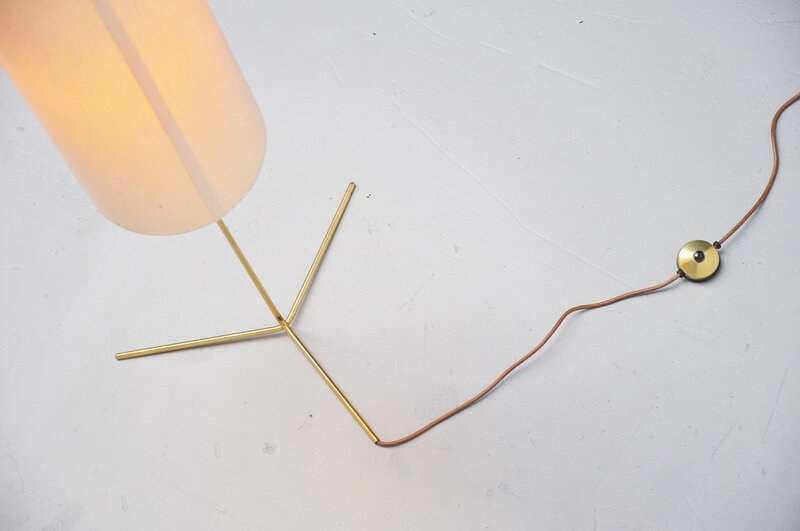 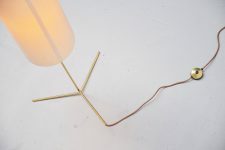 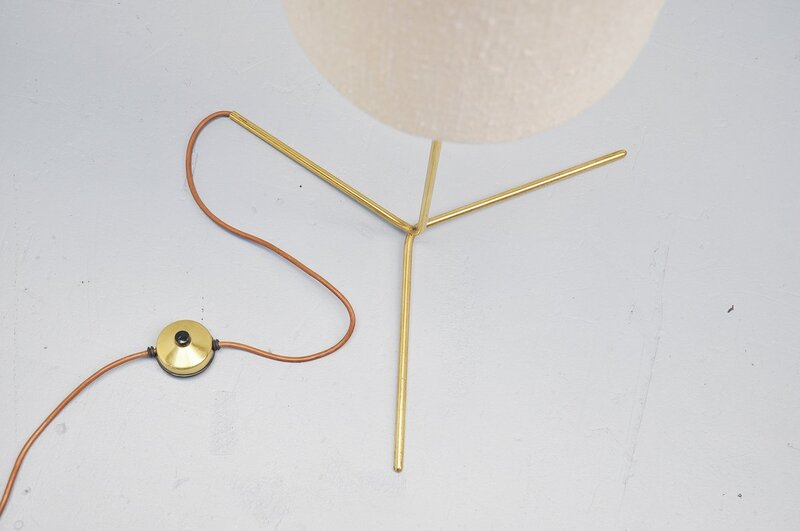 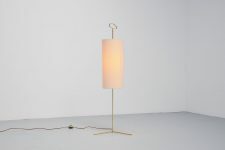 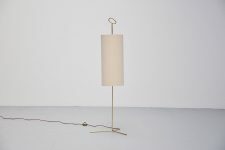 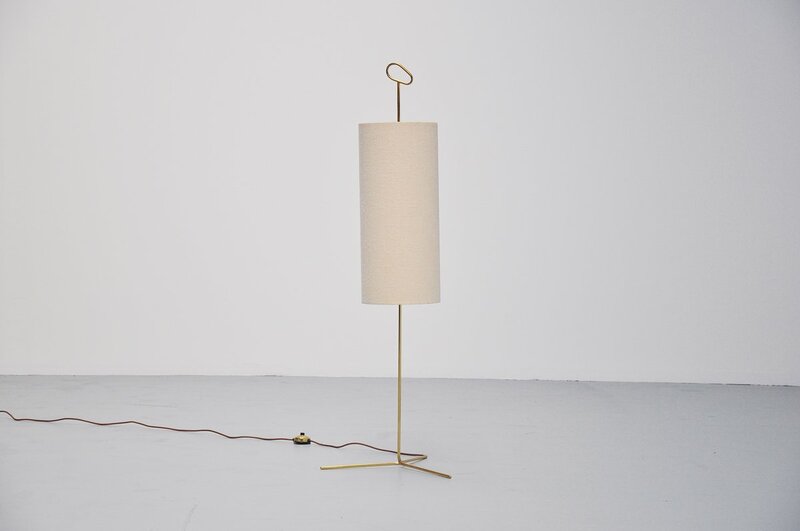 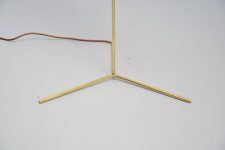 Very nice brass floor lamp with fabric shade made by Wiener Werkstatte, Austria 1950. Solid brass tripod shade with handle on top. 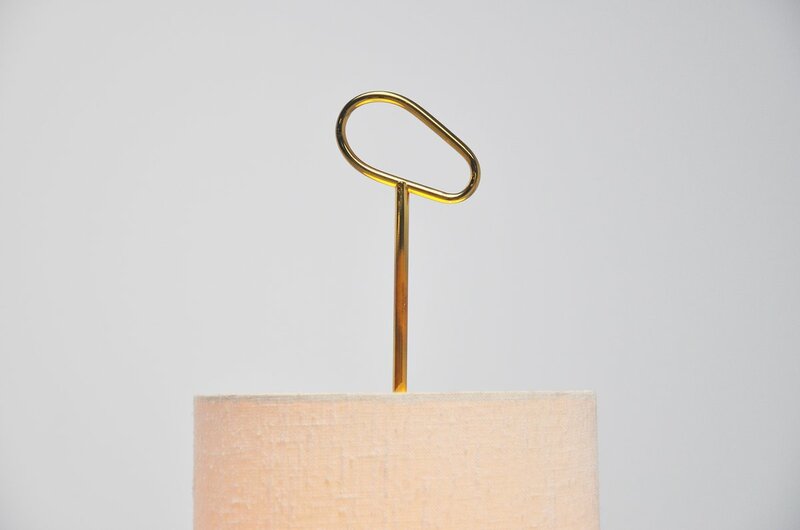 Off white fabric shade gives very nice warm light when lit. 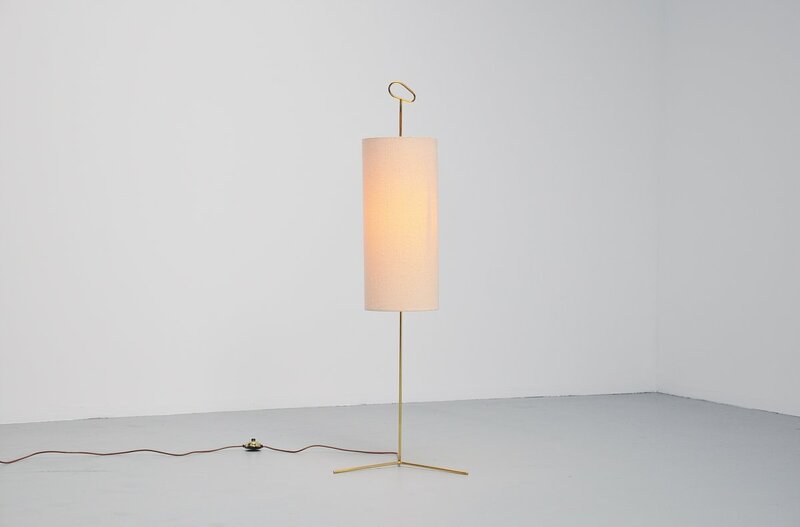 The lamp is completely original and in very good condition.